It is still a tough job market out there. And some folks will go to great lengths to get noticed by employers and recruiters. Jobseekers even grab headlines for the unconventional tactics they employ. Recently, an applicant at an ad agency purchased a Snapchat geofilter that showed users at the prospective employer's office a graphic overlay reading "Hey, hire me." A candidate spent three weeks designing a 20-page "resume edition" for the British edition of GQ magazine. How about a resume rap recited at career fairs? Still others resort to billboards or holiday light displays. Resume stunts may garner headlines, but do they ever result in job offers? At Aha! we review hundreds of resumes each month. And several applicants have reached out to us in unconventional ways. Some were hired -- but not because of a gimmick. Their efforts were the icing on an already well-crafted cake. As you can see, there is a difference between going the extra mile to showcase your talent and pulling a stunt. The stunt may get you noticed, but it unlikely to get you the job. You want to be remembered for your accomplishments, not your ability to razzle-dazzle. After the novelty wears off, you need to show real substance to the company -- otherwise, your resume will be lost among the rest. Gimmicks can be risky as well. If your stunt backfires, the employer will likely be left with a sour taste. Negative press might even affect your chances at other companies. 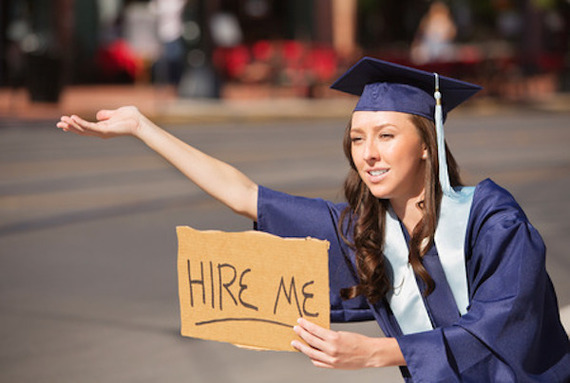 Spelling out your desire for a job in a public way may make potential employers uncomfortable. It is okay to show a little humility and express your desire for a position, but you do not want an employer to feel sorry for you. Instead, you want them to see your great attitude, willingness to work hard, and potential to shine. Depending on your industry or position, some employers may seek out applicants who are comfortable in the spotlight. But others may see a resume stunt as the work of a big ego -- with no place in a team-oriented environment. Yes, you want to demonstrate confidence throughout the hiring process. But you do not want to come across as a person who craves drama and demands constant attention. When you resort to publicity stunts to attract attention from employers, you are saying "Hey, look at me!" rather than "Here is how I can help you reach your goals." Even worse -- a stunt may show employers that you do not have the maturity to solve problems and get things done with professionalism. Resume stunts are the equivalent of throwing a whole bunch of paint at the wall and praying some of it will stick. You risk looking like someone who will do anything to get a job and who will settle for any job at all -- as long as it pays the bills. But most employers want people who are driven by goals and show excitement about the position and company itself. So if resume stunts are likely to miss the mark, what does work? Try getting back to basics. Work on a carefully crafted resume that highlights your results as well as your authenticity. Write a succinct cover letter that shows you have spent time understanding what the employer needs. Be a true professional throughout the entire process, no matter the result. While you may not make headlines, you will find that these are better ways to make a lasting impression -- and much more memorable than any song-and-dance schtick. Have you ever seen a resume stunt work?